Warner Bros. has sent over a high-quality version of the new one-sheet advertising "Harry Potter and the Goblet of Fire" they revealed recently. 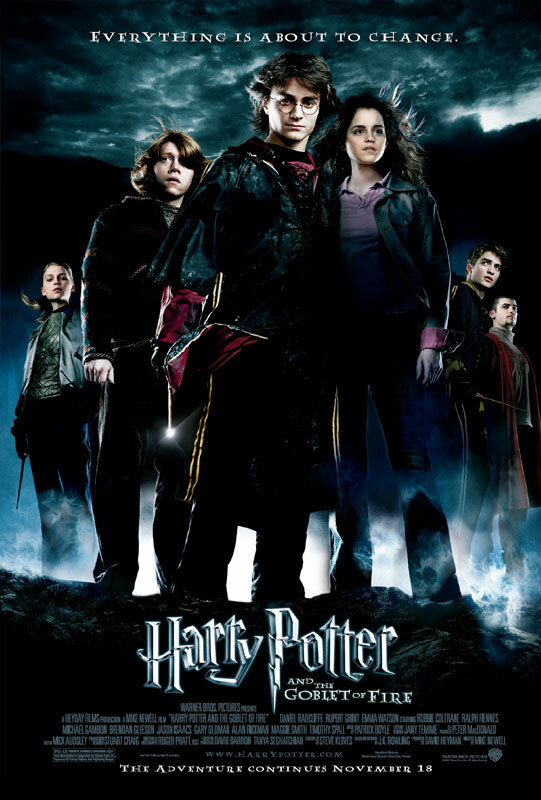 It features a spooky collage of characters including Ron, Harry, Hermione and the other triwizard tournament challengers. Above them is the phrase "Everything is about to change."